Complete any slam and show your token/certificate at the February banquet to receive $20 worth of raffle tickets. Complete your ultimate slam and show your token/certificate before the banquet and receive a free single dinner package, or equivalent value discount on a different package at our February banquet. This is a great way to support upland game in Utah and challenge yourself. Some of the upland slams require harvesting a limited entry species. 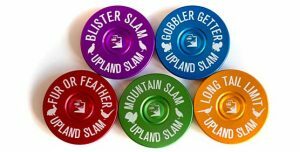 So make sure you apply for the limited entry upland tags so you are eligible for the. Additional information can be found at: http://wildlife.utah.gov/hunting-in-utah/uplandgame/1450-uplandgame-slam.html HELPING UTAH'S GREATER SAGE GROUSE Pointing dogs have proven their worth to this project year after year. The information they help provide has allowed managers to gear habitat management of brooding areas specifically based on sage-grouse use preference. Spike treated areas have consistently been preferred by sage-grouse, and especially broods, on Parker Mountain. Management at larger scales (adaptive management) has and will be designed accordingly. The use of dog-handler/volunteers from the UCWF has been an integral part of this project, and critical to its success. Specifically, the popularity and availability of volunteers with Astro GPS units has been an asset to this project. We look forward to many more years of combined efforts to learn more about sage-grouse brooding activities and production on Parker Mountain. In addition to counts, the use of the Astro Units has proved invaluable for gaining information in a distance sampling regime. Researchers are able to easily download randomly placed transects to volunteer units. Volunteers can readily follow transect lines and record data on their GPS units, which can be downloaded and emailed back to researchers. We foresee being able to calculate sage-grouse densities across summer habitats using this method and program distance. MEDUSAHEAD CONCERNS It all started with a lie, I was asked to go pheasant hunting, but as we left the agricultural fields of a lush valley bottom and up a steep craggy canyon I knew that I had been deceived. As we drove to the head of the canyon, I stared at the steep ridges and sheer cliff faces, I was un certain if I really wanted any part of this “chukar hunting” expedition. I shot 3 chukar that day over the points of a young German shorthair. 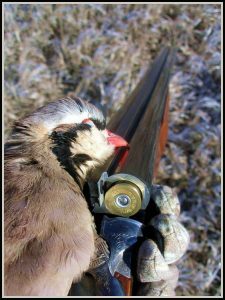 Following my crash course with chukar hunting, like many chukar addicts, I began studying chukar habitat. A seasoned chukar hunter knows how important cheatgrass is to chukar. While cheatgrass may be great for chukar, it is an introduced grass that has aggressively inserted itself into native plant communities that have been disturbed. Chukars thrive in these disturbed ecosystems and have adapted well to cheatgrass infested landscapes. The amount of chukar habitat has generally been increasing as wildfires have stripped sagebrush and juniper from western landscapes. While chukar hunters generaly take solace in the fact that the number of acres of habitat keep growing, many chukar hunters have not considered that chukar habitats could be at risk due to other invasive weed species. Medusahead is an annual grass with a similar lifecycle to that of cheatgrass. It establishes and forms a dense thatch layer that can preclude other more desirable species from persisting or establishing. Medusahead has long stiff awns that discourage consumption by grazing livestock and wildlife. Although cheatgrass has awns, it provides forage when it is green and succulent to chukar, wildlife and livestock. Unlike cheatgrass, the green leaves of medusahead are not generally palatable due to the concentrations of silicates in the leaves (silicates are a mineral found in sand and quartz). Eating medusahead may be like chewing on sand paper. The concentration of silicates in the leaves renders it almost useless to foraging wildlife and livestock unless their food is limited. Even more concerning is the ability of medusahead to outcompete the more favorable cheatgrass. 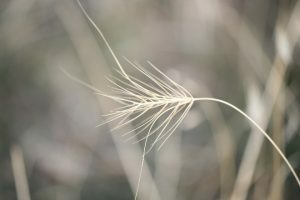 Land managers in Idaho, California and Nevada have been struggling as they have watched medusahead out compete cheatgrass to become the dominant vegetation across thousands of acres. While cheatgrass is not the most desirable vegetation in the eyes of most land managers, it is more desirable than medusahead. Medusahead seeds are moved about very similarly to cheatgrass the long stiff awns are notorious hitchhikers on vehicles, clothing and the hair of animals. Once medusahead seeds establish, they begin developing this dense mat of thatch that breaks down slowly because of the silicates in the leaves, effectively creating conditions only suitable for medusahead seedlings. Historically in Utah medusahead had only been a problem in Cache county and eastern Box Elder county. However, over the last two years it has been found in Morgan, Salt Lake and Utah counties. There is great concern among weed managers across the state that other counties may also have infestations of medusahead but they have just not found them yet. 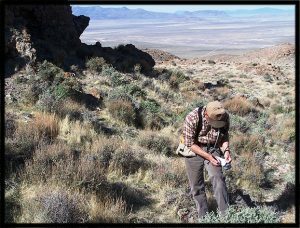 Medusahead is often found occupying the same habitats as cheatgrass, so in order to detect early infestations of medusahead we will need to conduct extensive surveys in areas that are invaded by cheatgrass. As I considered this problem I realized there is no other group that spends countless hours in the cheatgrass infested landscapes than chukar hunters. Rangeland and wildlife extension specialists at Utah State University have worked with our IT departments to develop an app that train and use chukar hunters as an early medusahead detection system. With the hope of identifying these medusahead infestations early enough that they can be eradicated before they become a landscape problem. Not only can chukar hunters help ensure chukar habitat is maintained they can also help ensure that we maintain healthy and productive rangelands for multiple uses. Look for wide scale release of the app following beta testing this summer. For more Information about medusahead: http://extension.usu.edu/rangeplants/htm/medusahead http://extension.usu.edu/rangelands/htm/utah-projects/becr/medusahead Eric Thacker USU Rangeland Management Specialist 5230 Old Main Hill Logan, UT 84322-5230 eric.thacker@usu.edu 435-797-7874 RECENT CHANGES TO HUNTING LAWS In the past several years, several changes proposed by the UCWF have taken effect. Never before has there been such a proactive push for sound upland game management and the UCWF was there to lend a helping hand. Because of your support and strong voice we’re entering a new era in upland hunting. Among other pursuits, the UCWF pushed for two major objectives: A later opening date for chukar partridge and sage grouse, and to increase hunter opportunity while decreasing complicated game laws. We made a BIG step in these directions. Below are just a few of the up and coming highlights: You can now enjoy some extra chukar and Hungarian partridge hunting during a single, statewide season that begins two weeks later than past years. The season opens the last Saturday in September and runs until mid-February. You can enjoy an extra week of sage-grouse hunting. At the same time, adult sage-grouse hens will receive some extra protection, due to the season opening two weeks later. You can enjoy an extra month of forest grouse hunting. The season begins in mid-September and runs until the end of December. The general pheasant hunt will run for 16 days across the state, providing hunters with a single statewide general season. Utah has two new quail hunts. The new hunts will be held in Daggett and Sanpete counties. ∙A new sharp-tailed grouse hunt will be held in Cache County. REASONING BEHIND THE NEW LAWS With a few seasons of sound biological data in our belts we felt it was time for some much needed changes in Utah hunting regulations. The current regulations were complicated and the UCWF felt it could increase hunter opportunity while keeping upland laws as simple and consistent as possible. 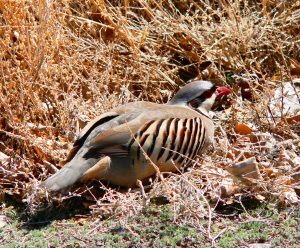 CHUKAR & HUNGARIAN PARTRIDGE: Moving the start of the season back should protect vegetation around artificial guzzlers and other water sources. Chukars are less dependent on these water sources as autumn progresses. As the chukars leave the water sources, the hunters should follow them. That should decrease the amount of vegetation that's damaged by hunters and others driving their vehicles near these sites. It will also give time for younger broods to mature and give hunters a sporting target. GREATER SAGE GROUSE: The start of the sage grouse season has been moved from mid September to the last Saturday in September. 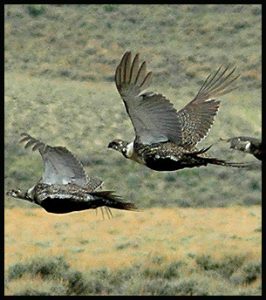 Starting the season two weeks later should reduce the number of mature sage-grouse hens that hunters take. Starting the season in late September will give young birds more time to mature. Broods begin to break up, and the birds scatter more. Not having the birds as concentrated should reduce the number of mature hens that hunters take. 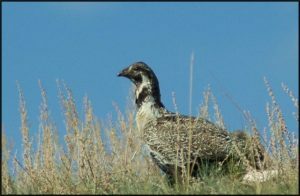 COLUMBIA SHARP TAILED GROUSE: The population of sharp tailed grouse in Cache County has risen to huntable numbers. This new season should give hunters more opportunity and reduce hunter concentration. FOREST GROUSE: The seasons for both Dusky (Blue) Grouse and Ruffed Grouse have been lengthened. The season extension should give hunters more opportunity while not effecting population levels. The Utah Chukar & Wildlife Foundation would like to thank the valued support of our members , other upland groups, and the Utah Division of Wildlife Resources for help in instituting such significant and historic changes. UPLAND GAME GUIDEBOOK All of the rules for Utah's upland game seasons can be found in this year's Upland Game Guidebook. The guidebook is available on the DWR Web site at It will also be available at DWR offices and hunting license agent locations across Utah. CURLEW NATIONAL GRASSLANDS PROJECT The Curlew National Grasslands is a public lands area open to hunting in Southern Idaho. It has a number of popular upland species including sharp-tailed grouse, sage grouse, hungarian partridge, and pheasant. The USFS is pursuing a $15,000 dollar grant to help complete a three year $45,000 habitat improvement project on the grasslands. 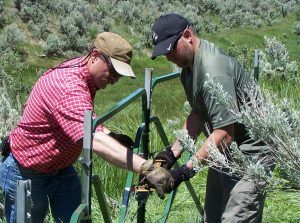 The project's main focus is fencing some valuable tree/shrub rows that provided cover and food for pheasants all year and sharp-tailed grouse and huns during the winter. The old fences have been knocked over and cattle are taking their toll on the trees, shrubs, and vegetation. The UCWF in partnership with UplandIdaho and Utahbirddogs has sent letters of support for the project and pledged to provide volunteer labor during the spring and summer this year. We have also committed to raising $1000 in supporting funds. These efforts will help ensure that the project will get the grant needed to finish the work. I know many of you hunt Idaho's public lands and will be excited to support this great project. Our goal is to get 100 people to donate $10 each and raise $1000 for this project. Please use the Paypal link below to support the effort. If you wish to donate more than $10 please do so, and please spread the word so we can do our part to help make a difference! HOW CAN YOU HELP THE UCWF? Donate time, money, or items for the banquet. Become a sponsor or major contributor. Continue to support various Chukar Studies. Currently we are planning a study to determine the best methods to release wild and pen raised birds. These Chukar Studies will become the road map for future Chukar management in Utah. We fully support these studies and hope they will be a spring board to improved management. Using information from the studies, ensure each region implements its chukar transplant and guzzler location priority list. 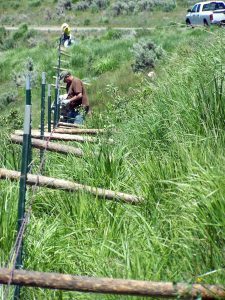 Provide feedback and recommendations to the Utah Habitat Council on how to appropriate state upland monies. Aid in transplanting wild and pen raised chukars throughout each region. Continue supporting the youth chukar and pheasant hunts. The future of hunting depends on our youth. Be involved in upland management decisions and legislation, The UCWF was a driving force for the recent proclamation changes and improvements. Assist with sharp-tailed grouse, sage grouse, and forest grouse counts/studies. Be involved in habitat improvement for all upland game species. Provide money and a volunteer work force that will help make upland game projects and research happen throughout Utah. 25 Guzzlers installations are planned in the Central Region and another 12 are planned for the Northern Region. Help promote the creation of a dedicated Utah guzzler crew. Manage and maintain a better, interactive upland website.